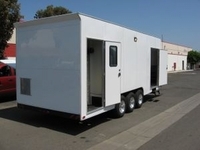 Protective Coating Solutions understands that purchasing a mobile trailer is not an easy task. We have developed a turn key solution to suit your mobile coating needs. 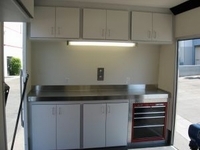 You have the option to choose from one of our many different trailer configurations. 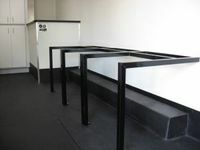 This allows our customers to pick and choose a system that will work for them. All of our trailers have been designed specifically for the coatings industry, You may add and deduct components from the turn key package. Choose your trailer size.